After the events of Justice League: War, Ocean Master and Black Manta have declared a war against the surface in retaliation of the aftermath of Apokoliptian-tyrant Darkseid’s planetary invasion. Queen Atlanna seeks out her other son, Ocean Master’s half-brother Arthur Curry, a half-human with aquatic powers with no knowledge of his Atlantean heritage, to restore balance. Living with powers he doesn’t understand and seeing the danger around him, Curry takes steps to embrace his destiny, joining the Justice League, and with his new teammates he battles to save Earth from total destruction. When time travel allows a past wrong to be righted for The Flash and his family, the ripples of the event prove disastrous as a fractured, alternate reality now exists where a Justice League never formed, and even Superman is nowhere to be found. 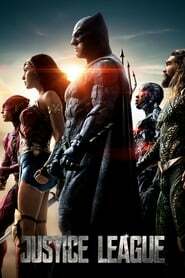 Teaming with a grittier, more violent Dark Knight and Cyborg, Flash races to restore the continuity of his original timeline while this new world is ravaged by a fierce war between Wonder Woman’s Amazons and Aquaman’s Atlanteans. A heroic version of Lex Luthor from an alternate universe appears to recruit the Justice League to help save his Earth from the Crime Syndicate, an evil version of the League. What ensues is the ultimate battle of good versus evil in a war that threatens both planets and, through a devious plan launched by Batman’s counterpart Owlman, puts the balance of all existence in peril.